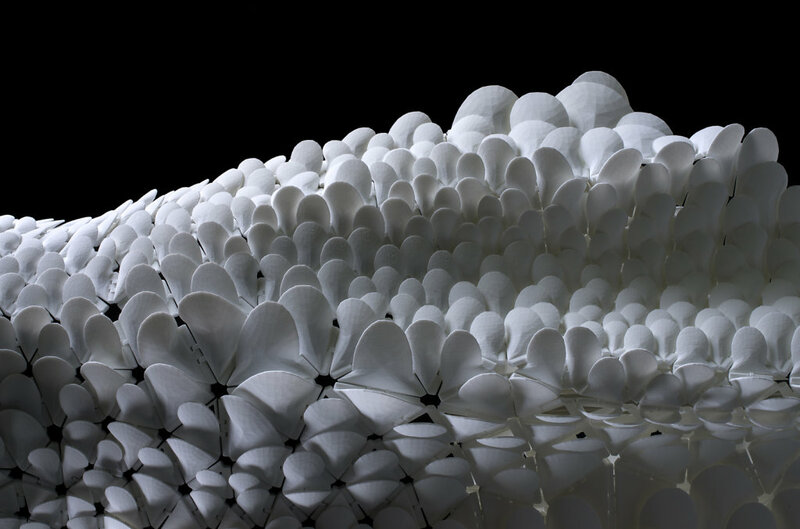 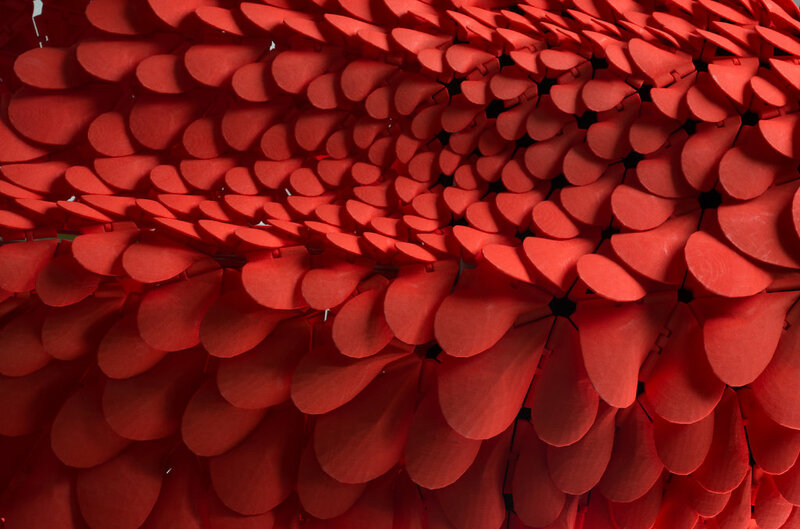 Petals protrude from the underlying framework of tessellated triangular panels, sheathing the body in a directional landscape of overlapping plumes. 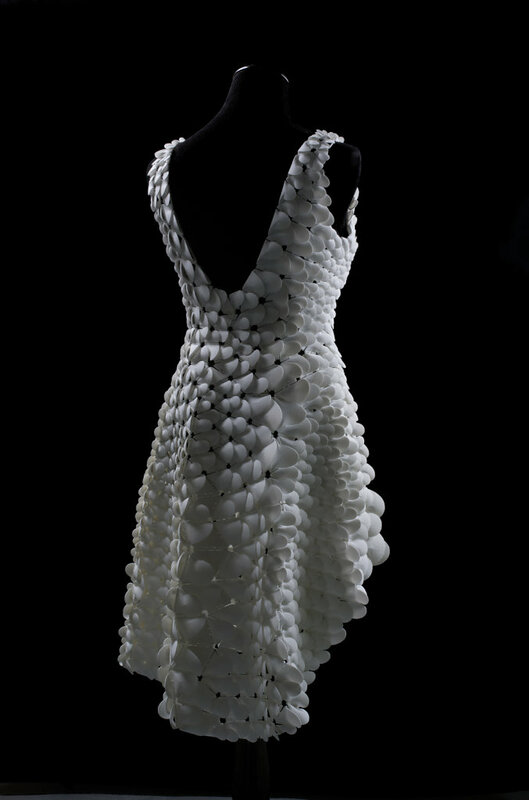 Each interlocking component of the dress is rigid, but, in aggregate, they behave as a continuous textile. 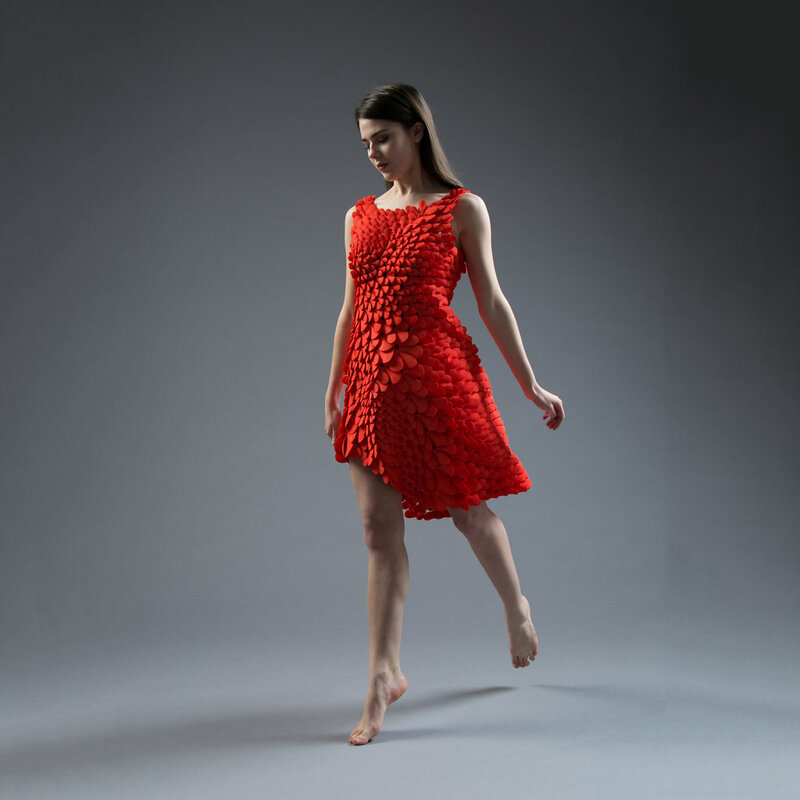 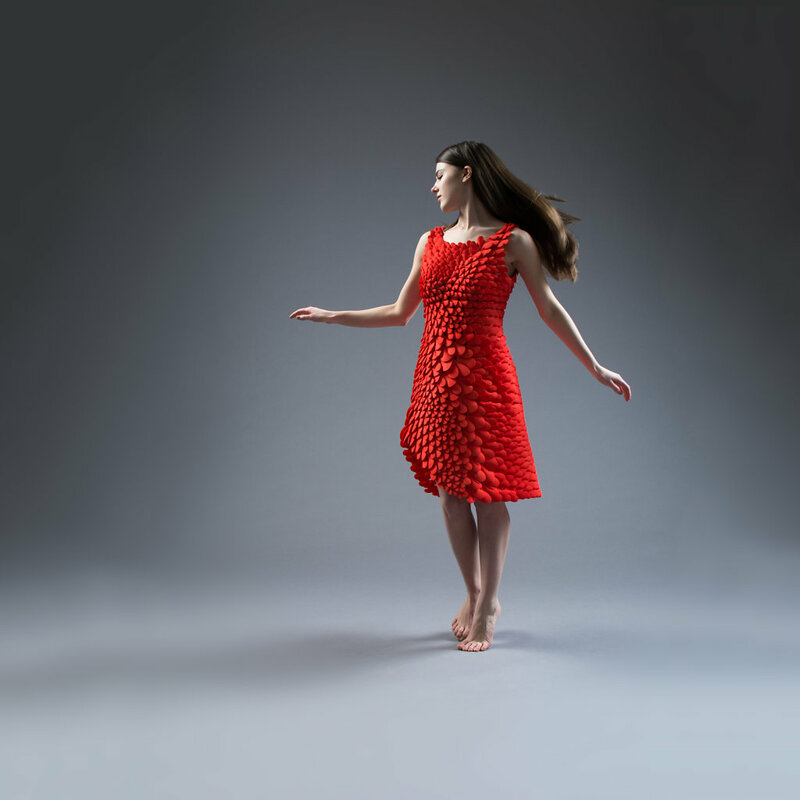 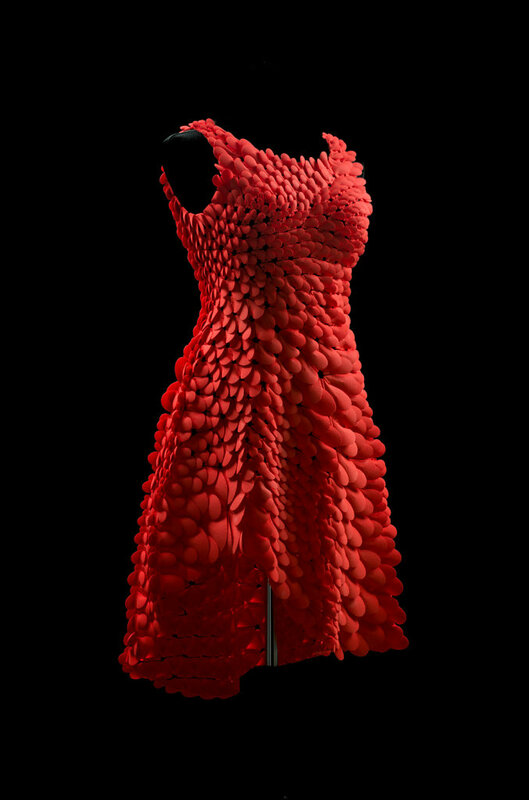 The dress is 3D-printed in durable nylon plastic by Selective Laser Sintering. 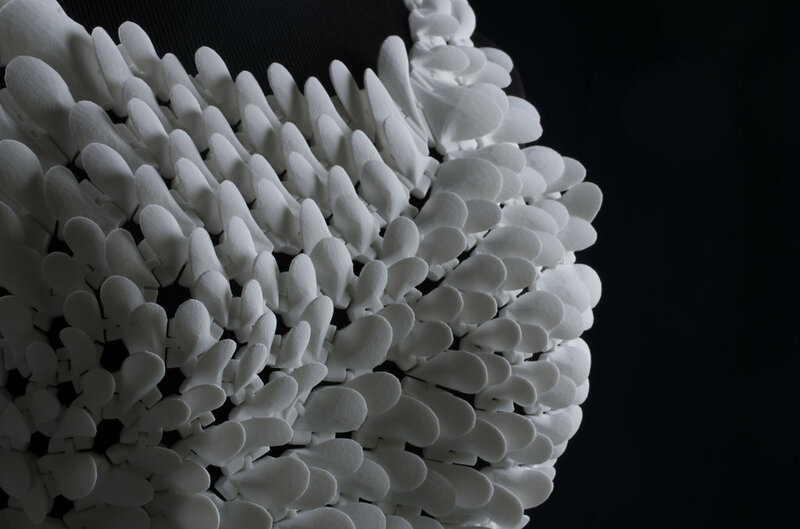 While the design is composed of more than 1600 unique pieces interconnected by more than 2600 hinges, it emerges from the 3D printer fully assembled and ready to wear. 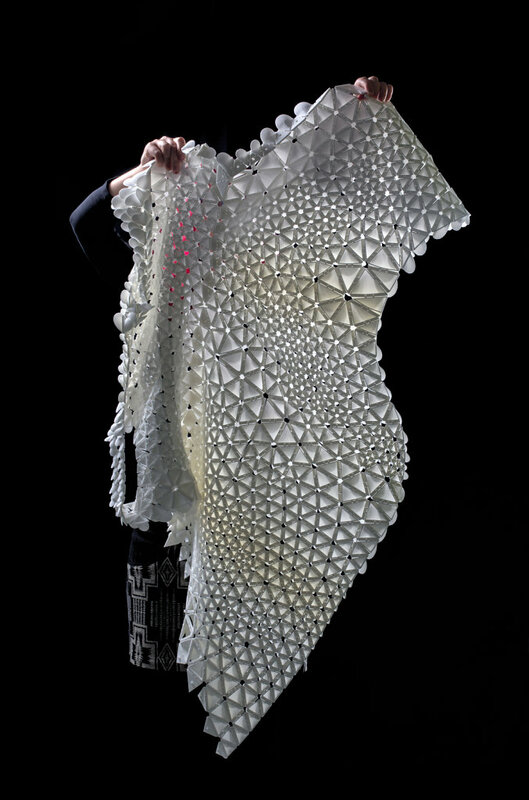 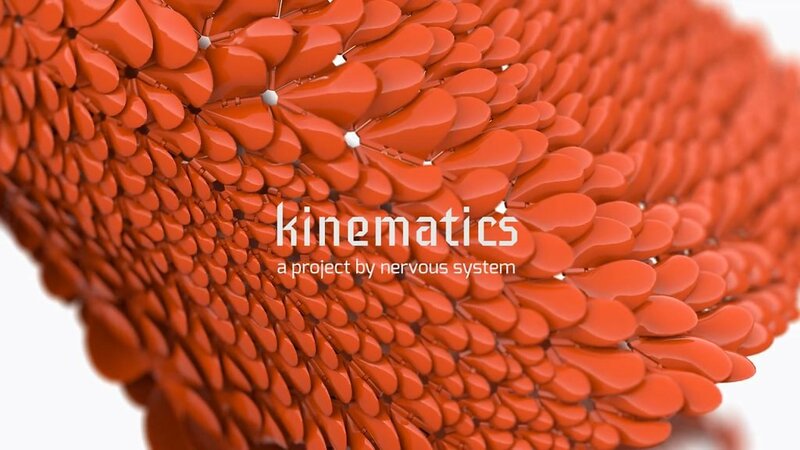 We employ a smart folding strategy to compress Kinematics garments into a smaller form for efficient fabrication. 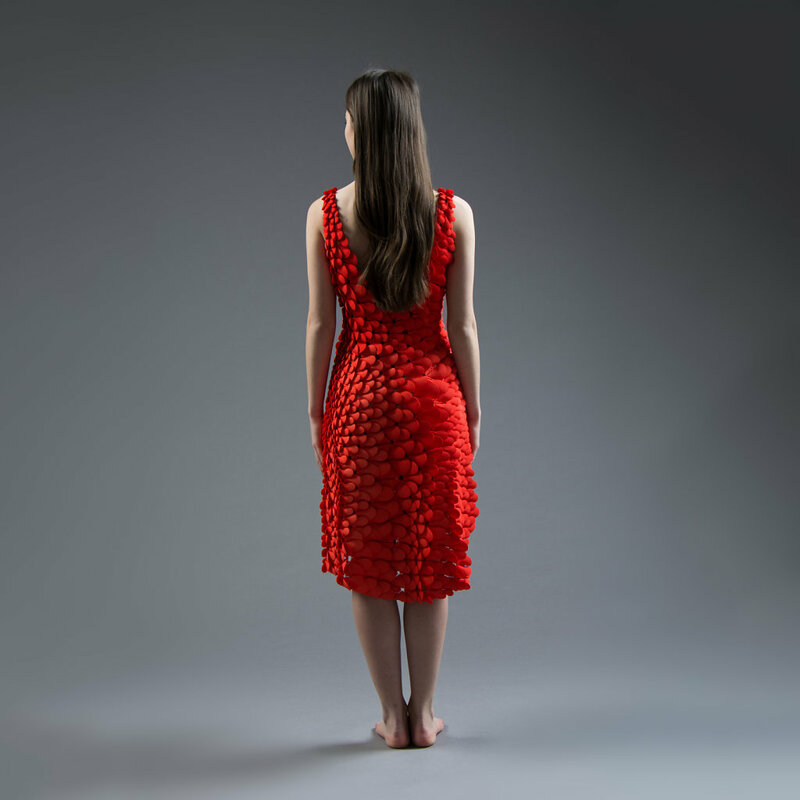 By folding the garments prior to printing them, we can make complex structures larger than a 3D printer, that unfold into their intended shape. 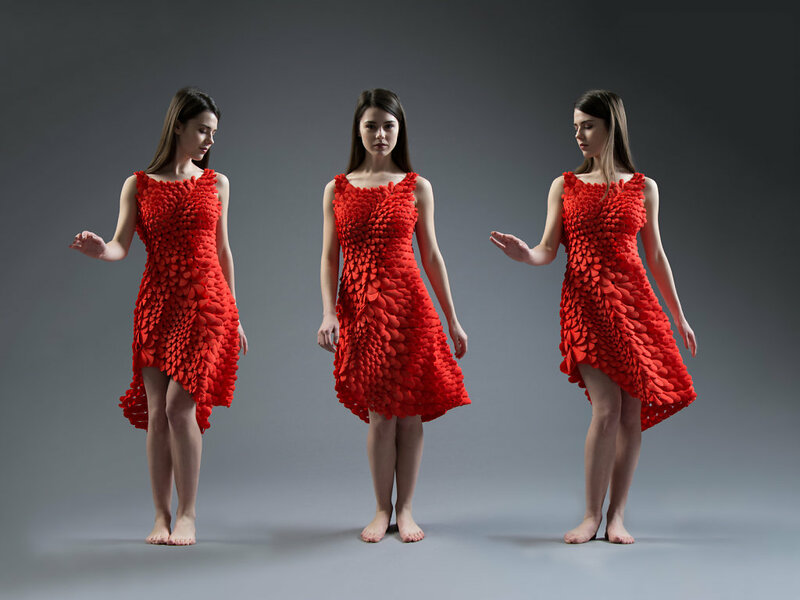 To make this dress possible, we developed new design software and simulation tools. 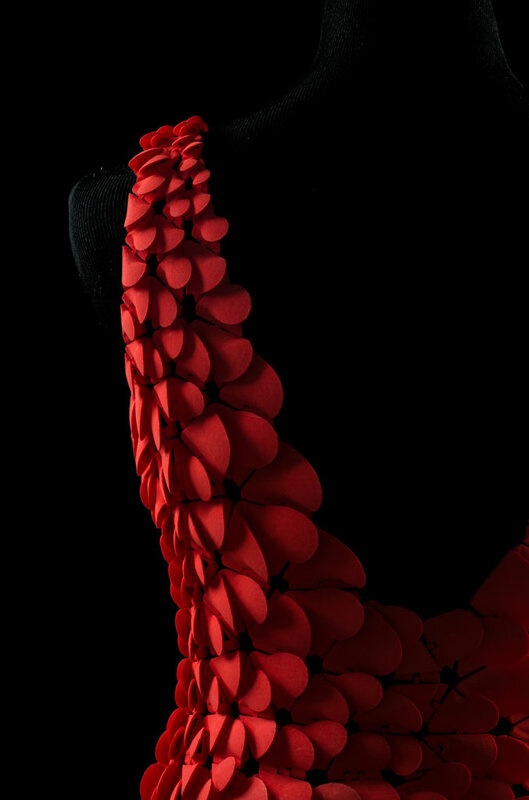 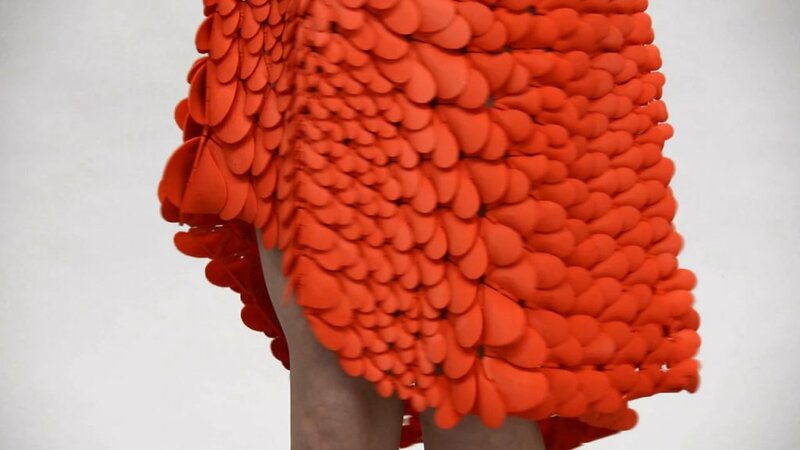 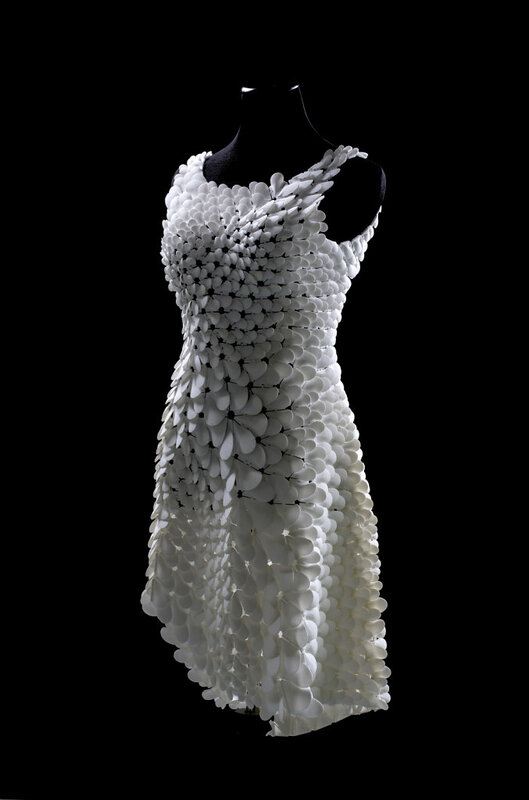 The overlapping petals necessitated a new strategy for compressing the garment for efficient 3D-printing.